Our Sample Package #2 contains magnets that are big and strong that must be handled with caution. Each of these magnets is capable of giving a hard pinch if mishandled. 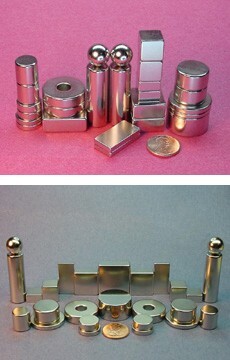 Please read and understand our Neodymium Magnet Safety Page before purchasing this set. 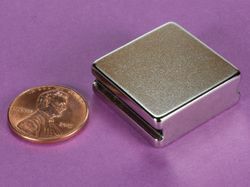 This package contains magnets that are 1/2" to 1" in diameter or width. 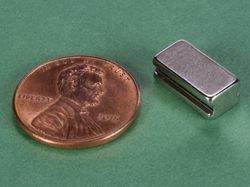 If you are interested in experimenting with a variety of larger sized magnets, here is your chance to get a few of each with volume discount pricing.